Product #60788 | SKU 996356005 | 0.0 (no ratings yet) Thanks for your rating! The VoiceLive Play from TC-Helicon is a vocal effect processor pedal that features over 200 song and artist inspired presets. From vocal doubling and reverb to pitch correction and harmonising, the VoiceLive Play gives singers a plethora of sonic possibilities. 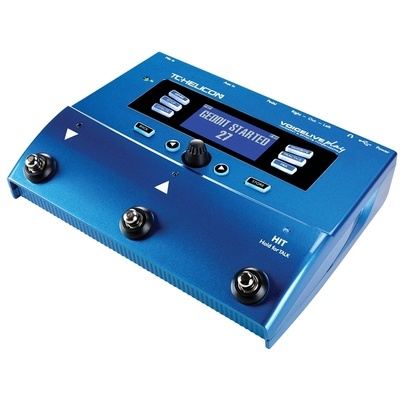 The VoiceLive Play GTX offers studio-like vocal effects that can be used in a live or practice setting. These effects include automatic backing harmonies, vocal double tracking, AEQ and compression, reverbs, hard-tuned robo-voice and more.